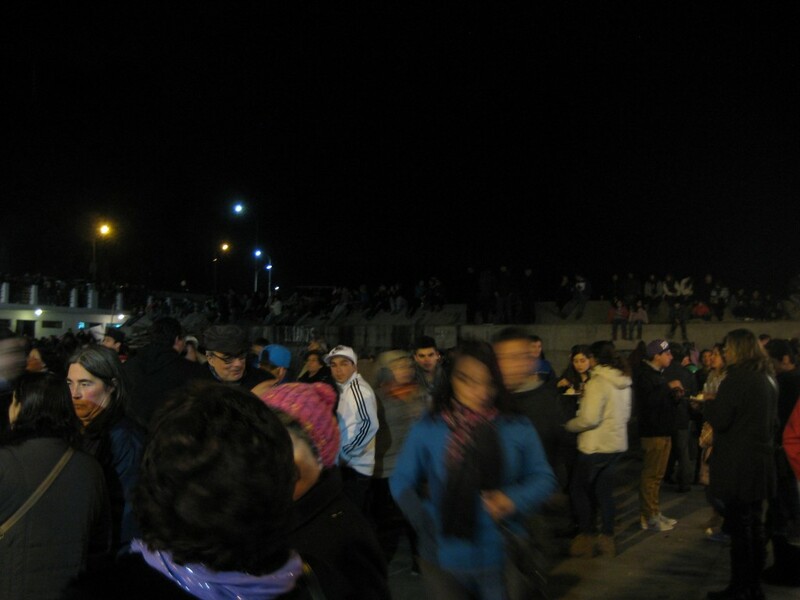 On Wednesday, a friend and I went to a fogata, which is Spanish for “bonfire.” The fishermen in Valparaiso put it on once or twice a year. It involves lots of food, a giant fire, and good music. My family told me about it and I wanted to go, so I dragged a friend along. Each fisherman has his own little stand where they fry fish right there in front of you. You can pay 2.000 pesos (roughly $4) and it gets you a fried fish, a dinner role, and a glass of wine. 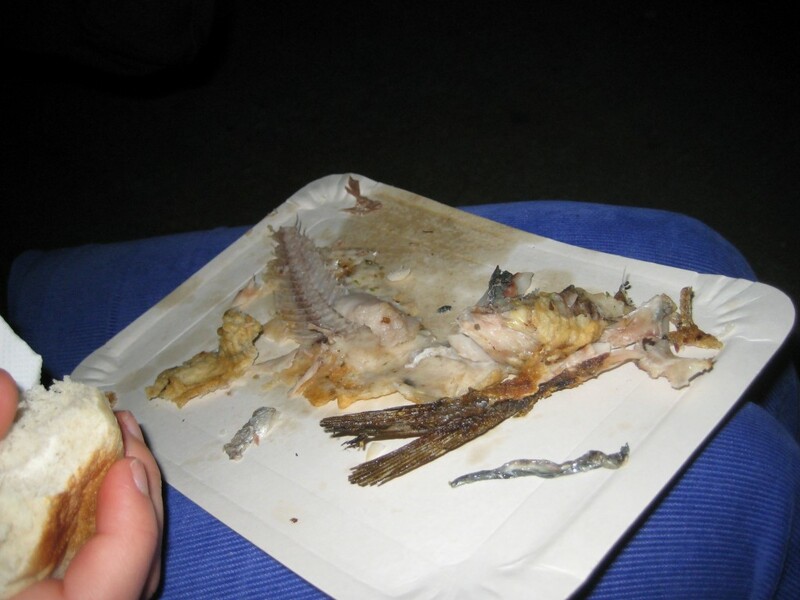 The fish was fried whole, skin and bones and everything—just missing its head. The fish was SO GOOD! I cannot even explain the joys of fresh fried fish, super hot and crispy, and a nice glass of cool wine to wash it down. The bonfire was probably my favorite part, and naturally I was enjoying myself so much I didn’t take pictures of it. There was a wood pile that I am pretty sure was taller than me, and about five or six people standing together. They poured some lighter fluid on it and had a little countdown, and when the fire hit the lighter fluid, there was a little explosion! I was not the only to let out a scream of surprise. But then there was this amazing fire to accompany the night. I was pretty surprised at the number of people there. Thinking about it, I really should not be, because obviously it is a well-known event that happens here, and fishing is an important part of life in Valparaiso. My host parents knew about it, and when I told my host sister where I was going, she was upset that she had forgotten it was that night. So clearly it is a thing people look forward to. And it was packed! We finally left because there were just so many people and my friend and I are both a little uncomfortable in big crowds. But overall, a really great experience—something I could never experience at home!